Steven D. Strickland, D.D.S., F.A.G.D. 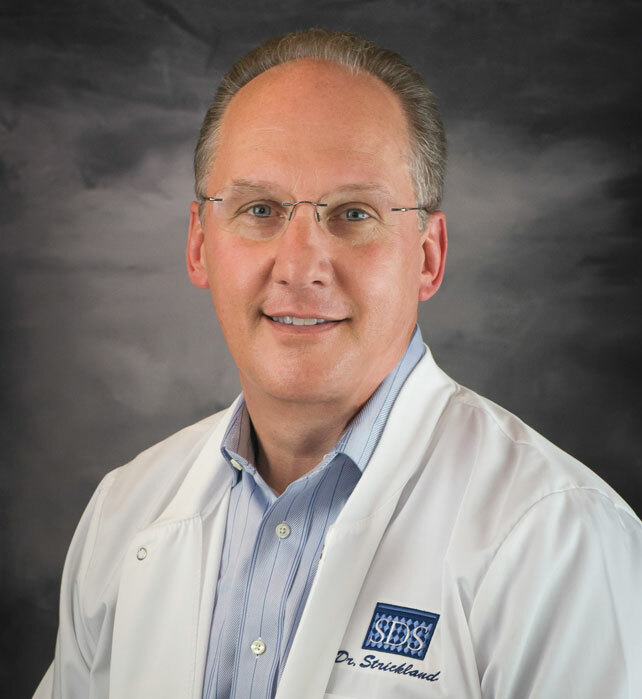 Dr. Strickland graduated from Virginia Commonwealth University in Richmond with a degree in Biology before moving on to Case Western Reserve University in Cleveland to earn his Doctorate of Dental Surgery. He has been serving in private practice since 1990, and has been repeatedly recognized by his peers as one of the best dentists in the DC area. Dr. Strickland wanted to be a dentist his entire life. He enjoys working with his hands to create exceptional results, and he loves to make people happy. Patient satisfaction is always the goal, and he proudly leads his team in practicing quality dentistry to achieve it. 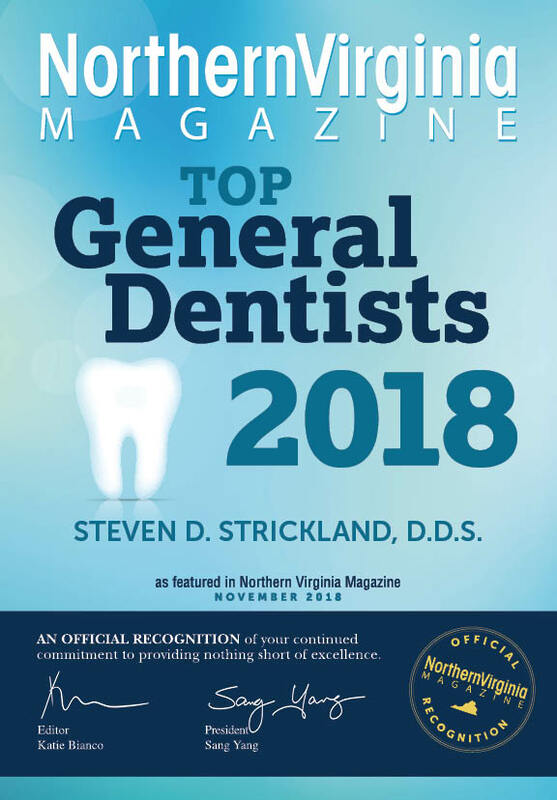 Dr. Strickland also routinely augments his expertise with continuing education courses covering all aspects of dentistry, with a focus on Dental Implants and Cosmetic dentistry. Dr. Strickland lives in Woodbridge, Virginia with his wife and children. He is an avid snow skier, and also enjoys exercise, boating, and home improvement in his time away from the office. 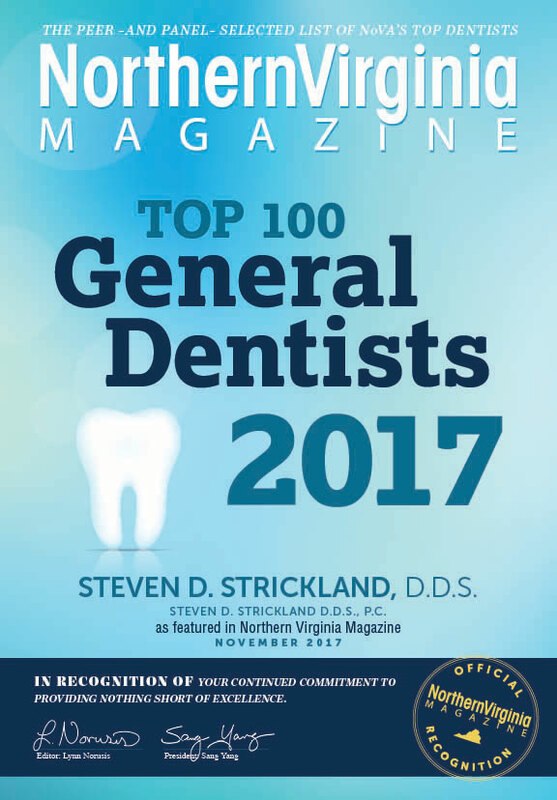 Dr. Strickland has surrounded himself with a caring, well-educated group of hygienists, assistants, and business personel. Every member is committed to providing you with the highest quality patient experience.